We’re familiar with primary colors as being red, blue and yellow. Some add white and black to make it five. No surprise. But get this…. According to The Physics Factbook (1) humans are able to see up to 10 million colors! Sir Isaac Newton discovered even white light is not without color. Color is actually the combination of the light reflected off of an object into our eyes. What we see is how tour brains interpret that light. Most alarm clocks have red numbers because red disrupts sleep less than other colors. Blue light suppresses the production of melatonin and disrupts sleep. So what does all this have to do with aging? It changes things a lot. We know our eyesight changes constantly throughout our lives. One of the changes we experience as we mature is our lenses become yellowed. This absorbs and scatters blue light and affects our ability to differentiate shades of blue, green and violet. OK, maybe we have more problems matching our décor – so what? The beauty of Design for Aging is how many ways we can make our homes safe. Color perception is one of those tools. 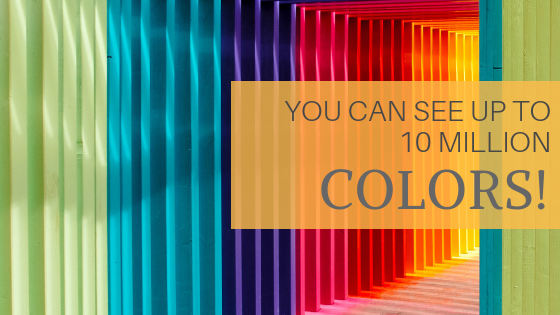 Color and contrast define our space and aid our eyes to distinguish objects, shapes and space so we are able to navigate in, out and around our homes with ease. how far we need to reach something like a towel or bar or soap. Just your flooring alone is important. 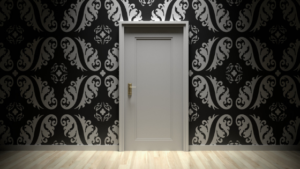 Research shows strongly patterned flooring can confuse and even cause a sense of movement, like vertigo for elderly or people who are sight impaired. (2) The last thing we want at any age is to feel off balance. Since kitchens and bathrooms are used most often and for various activities, it’s crucial to distinguish counter edges, cabinet corners and changes in floor levels. Having good color contrast avoids accidents, especially falls which we know impact the quality of retirement living. The best practice to aid visual challenges caused by aging is to vary the value of colors (lightness or darkness) by at least two levels on a ten-level gray scale. This is why I do color consultations. 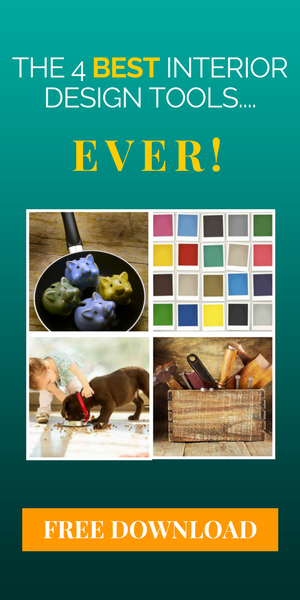 I have the tools to help you create the color combinations you desire in your home with the added benefit of contrasting those two levels. If you’re looking to remodel, or just even change colors around your home, I can help you get the best combination to satisfy your home’s appearance while making it safer for you and your loved ones to live in. Heading to press. We’re SUPER excited! 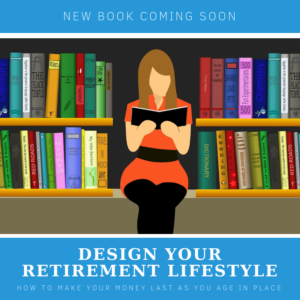 “Will I out live my money?” In our book we show you how Design for Aging helps you reach AND maintain your retirement dream. ← Life Gets in the Way…Again!